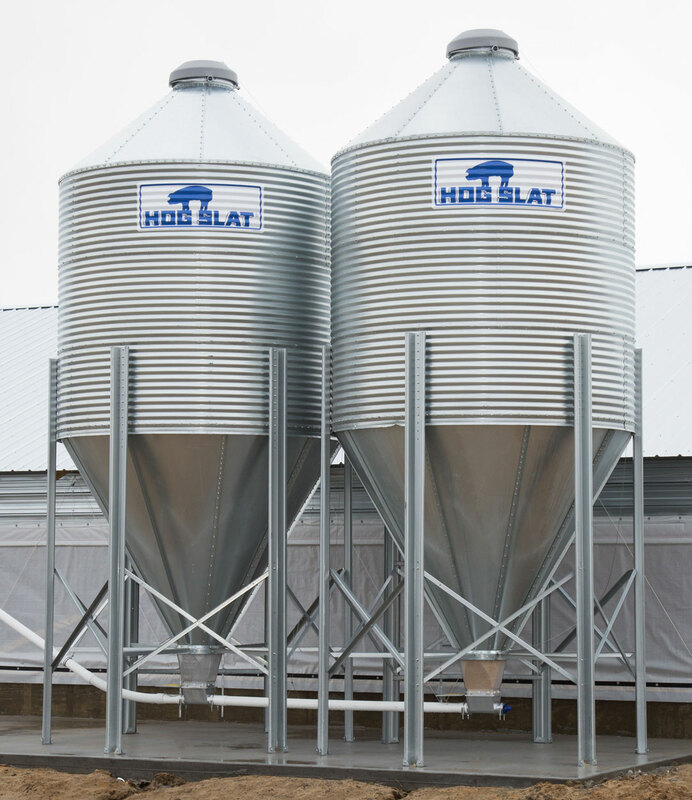 Hog Slat’s bulk feed tanks are the heaviest grade of feed bins on the market today. 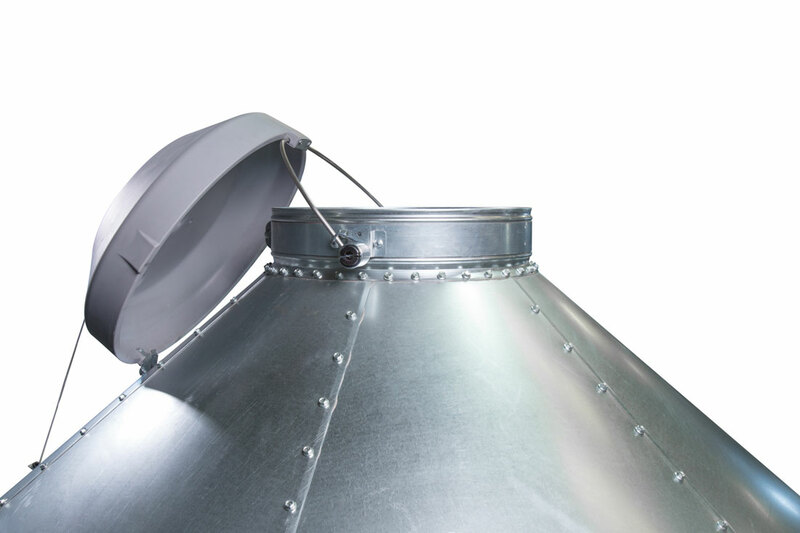 Our bins are longer lasting and built with 5-10% more steel, by weight, than other available tanks on the market. Manufactured in-house, we control all raw material purchasing and manufacturing operations, constructing the most durable bin available to protect one of the most valuable inputs on your farm. 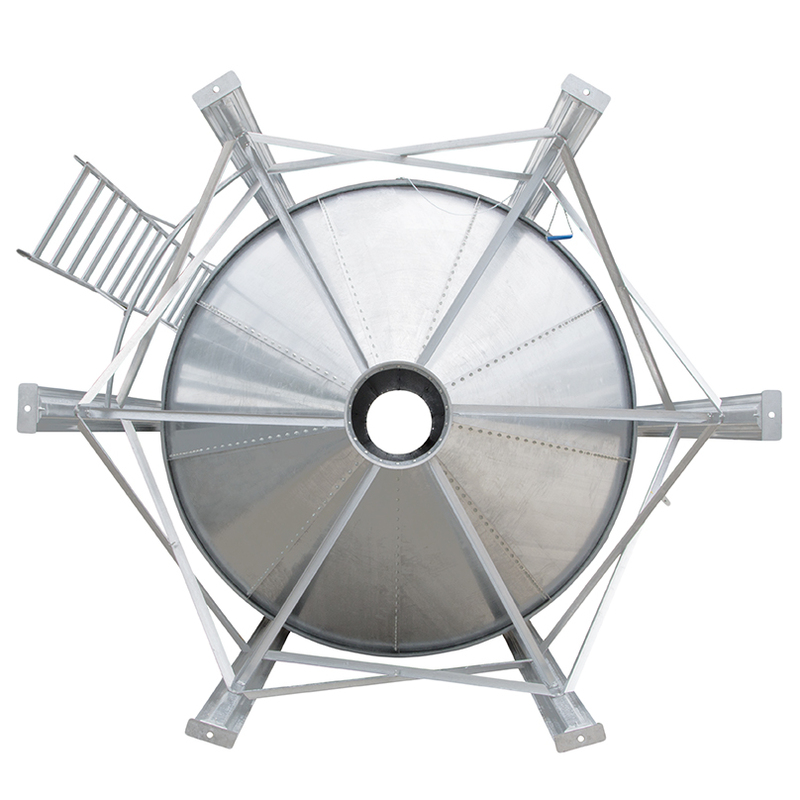 Hog Slat feed bins are constructed entirely from high tensile Grade 55 (55,000 PSI) Structural Steel. This means a stronger roof, sidewall sheets, hopper and legs than any competitive feed tank on the market. Our G100 galvanized finish is 10% thicker and contains 10% more zinc than competitor brands, resulting in 10% more rust protection, a longer lifespan and better appearance years down the road. JS1000 coated hardware remains completely rust-free during over 1000 hours of salt-spray testing. Hog Slat feed bin lids roll back onto the roof panel below the fill ring, eliminating the opportunity for snow, rain or other moisture to collect inside the lid while open. Laser cut roof sheets are rolled for a precise fit. 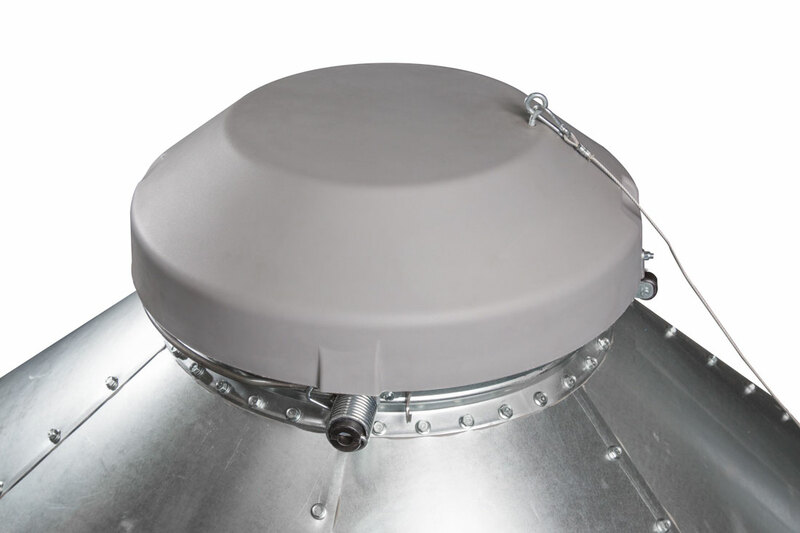 The 40° angle slope allows for maximum filling capacity and better visibility of the lid opening from the ground. 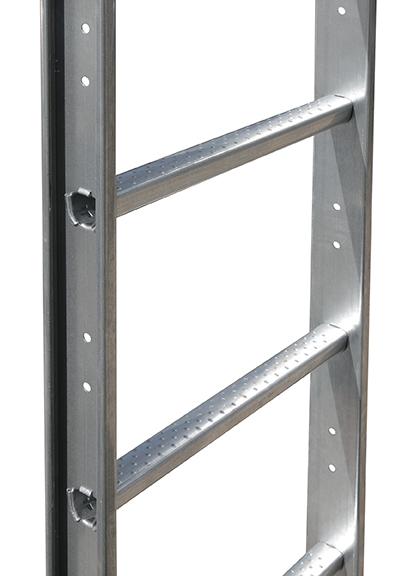 Precision stamped ladder assembly with adjustable standard brackets. Rounded trapezoid ladder rungs have a larger surface area and a dimpled texture to provide secure footing. Design exceeds OSHA safety standards. Safety cages are included with ladder kits for all bins that have a fill height exceeding 25 feet. Weather Edge bottom lip forces water away from the hopper to protect the boot and unloader. Improved Weather Edge™ design, with an extended 1-1/4" lip formed on the bottom sidewall sheet directs water away from the bin's hopper and unloading boot. Thicker and stronger bottom cone sheets resist dents and dings from mallets. 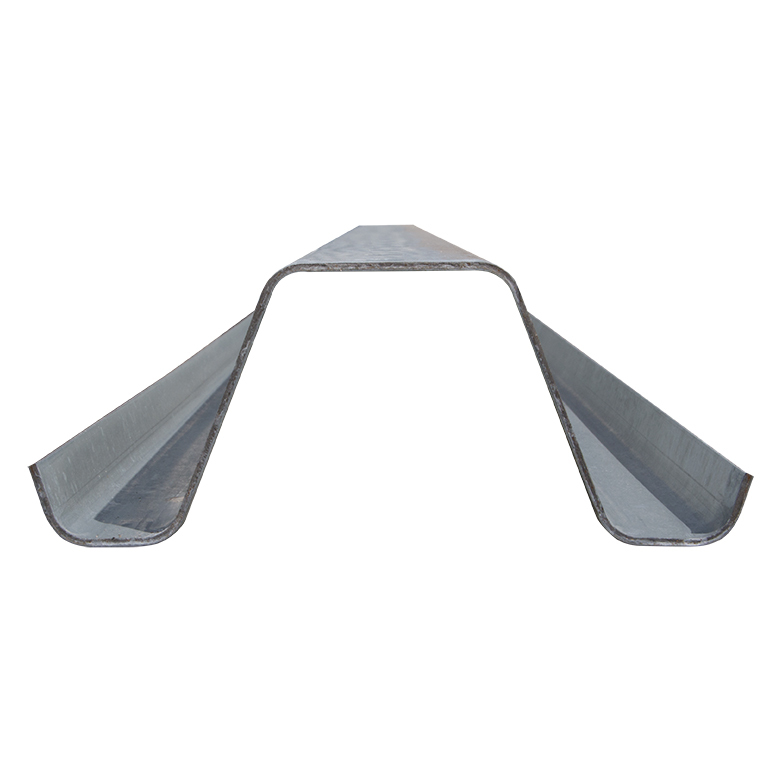 Stronger cone sheets also provide superior support for anti-bridging devices. Reduces variation in dimensions compared to rolled or spun collars, providing a more consistent, smoother surface that facilitates feed flow. 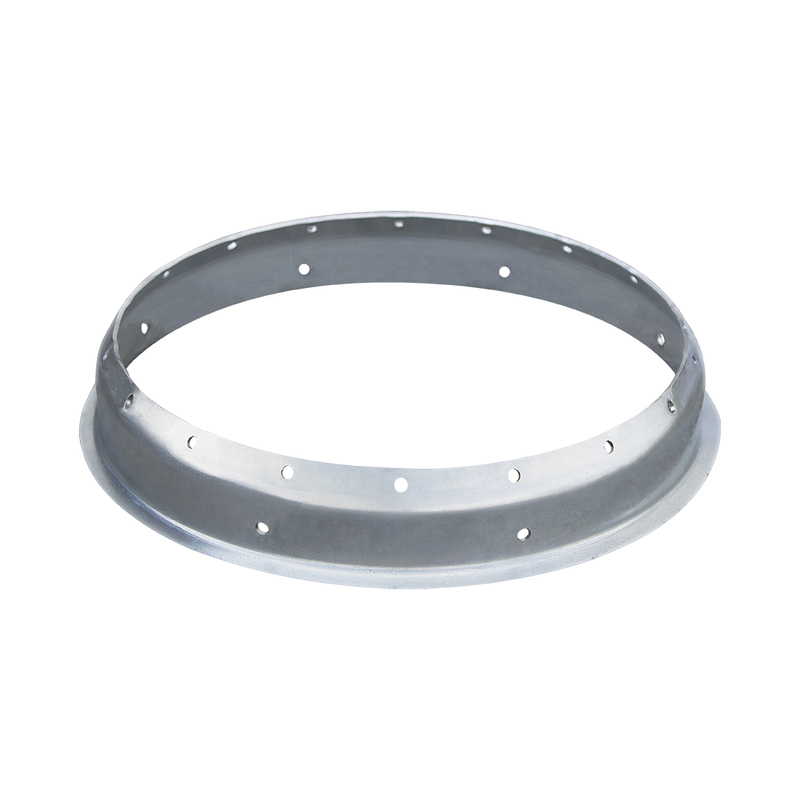 Our hopper collar is constructed of 10 gauge metal, heavier than all competitive brands. 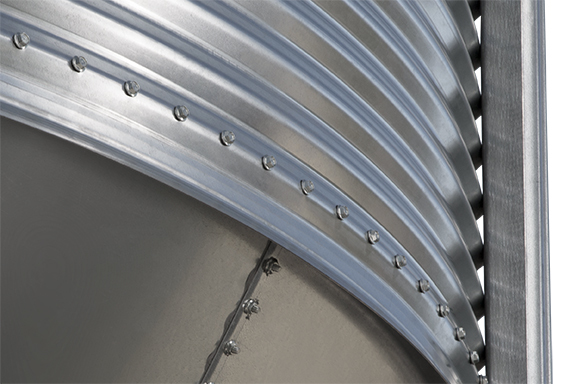 The Feedfas™ bin agitator cone helps direct feed away from the center of the hopper collar to prevent material bridging along the sides of the bin. 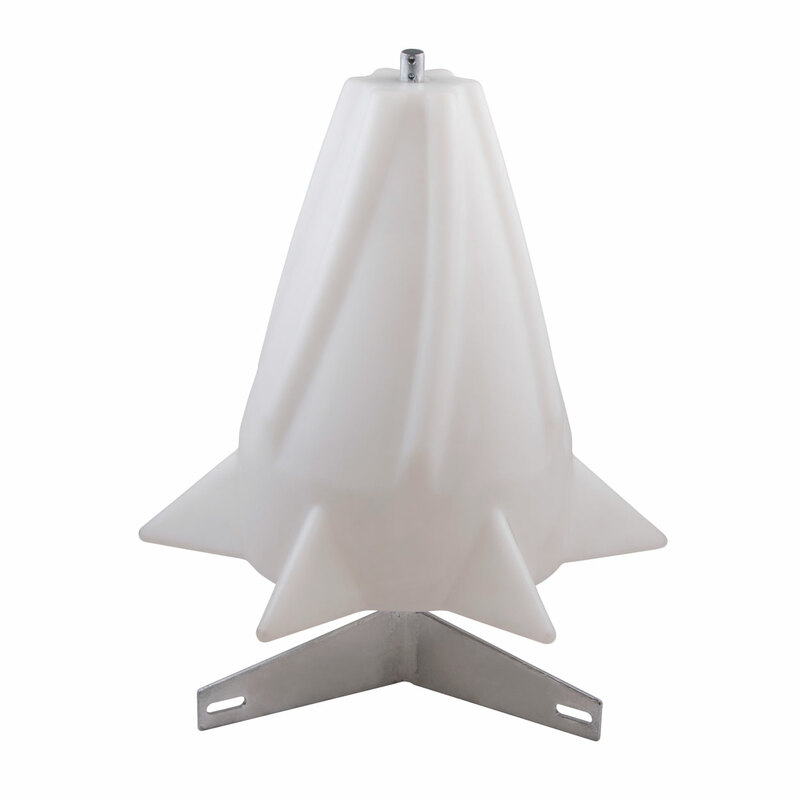 The Feedfas™ bin agitator cone helps reduce feed bridging in bulk bins by redirecting material flow away from the center of the hopper, toward the edges of the unloader boot. Hog Slat is a stocking distributor for the BinTrac feed bin weighing system and BridgRid feed tank bridging solutions. Bin Trac systems allow producers to accurately monitor feed levels in all bins across a farm; reducing waste and improving feeding efficiency. 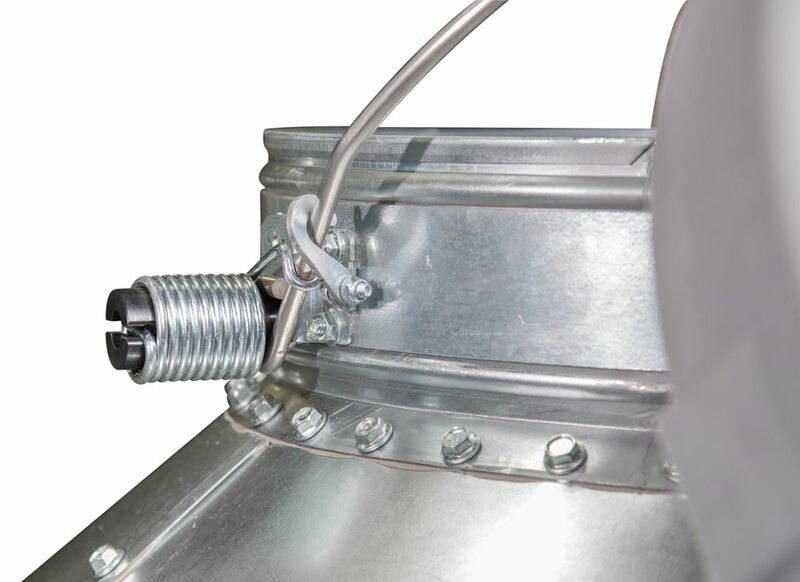 The BridgRid vibrating feed bridging elimination system monitors fill auger systems and provides a strong, even vibration to the bin that prevents feed bridging while the system is running. Combined together, these two systems will give poultry and pork producers extra assurance about the amount and availability of feed for their animals at all times.